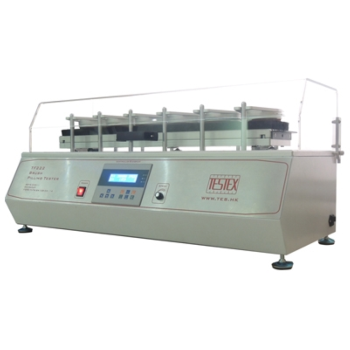 TESTEX is a professional manufacturer of textile testing equipment since 2008, set its factory in Guangdong province of China, during our great efforts on the innovation and quality controls on our testing machines, TESTEX has already well-known in all over the world, especially in western countries. Showing recent results 1 - 15 of 189 products found. 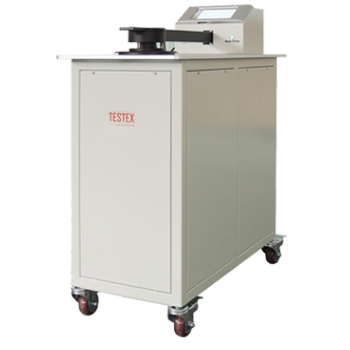 TY400C - TESTEX Testing Equipment Systems Ltd.
Automatic Single Yarn Strength Tester, to determine the breaking strength and elongation rate of single yarns made of cotton, wool and others up to 6000cN, with air-driven clamps. Fully automatic, can test 20 cops at the same time. 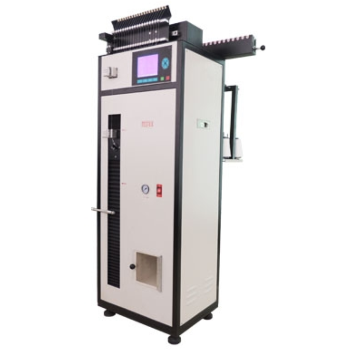 Single Yarn Strength Tester,to determine breaking strength and elongation of single cotton, wool and other yarns up to 50 N. Yarn Strength Tester complies with ASTM D2256, ISO2062, GB/T14344,etc. 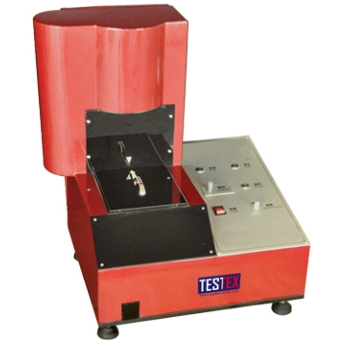 Please contact us for more information about yarn strength testing methods. 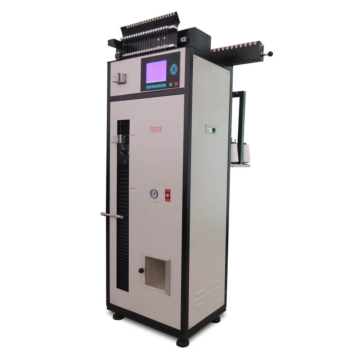 Auto Water Vapour Permeability Tester, to determine the water vapour permeability of various textile and garment fabric, coating fabric, composite, sportswear and industrial fabrics. 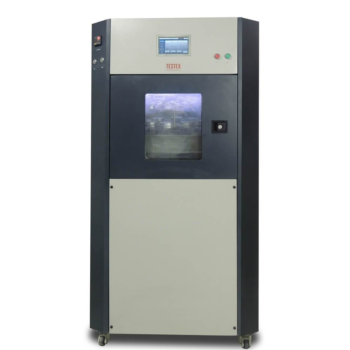 Auto Water Vapour Permeability Tester complies with ASTM E96, ISO8096, BS 3424, etc. 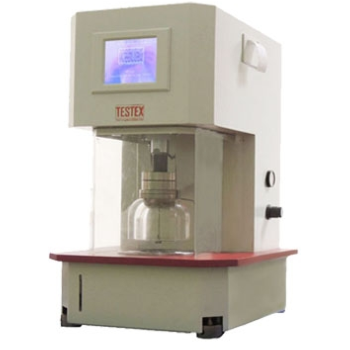 TF211B - TESTEX Testing Equipment Systems Ltd.
General pilling evaluation is checked and assessed by the checker; the grade of pilling is not comparable. 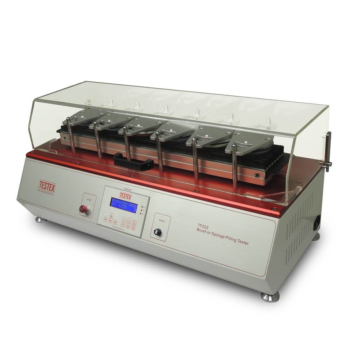 This automatic pilling assessing system is equipped with a digital camera to scan the sample. 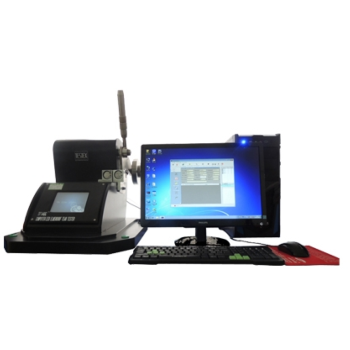 The windows based software will provide analysis and results, and the printer directly prints the data. 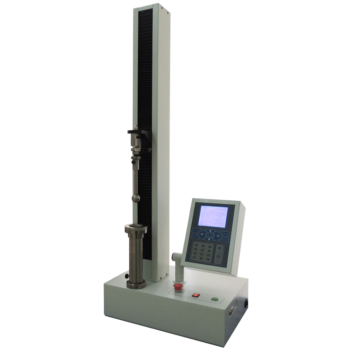 The evaluation result is true and at a high reliability. 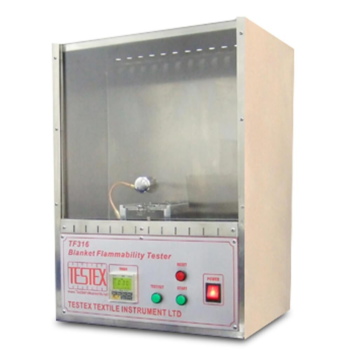 TF140C - TESTEX Testing Equipment Systems Ltd. 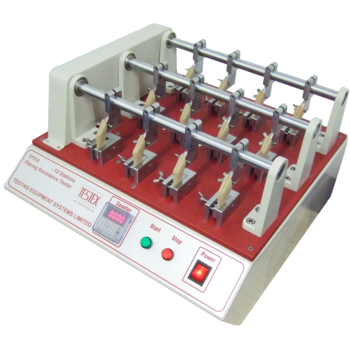 It enables rapid determination of the dynamic resistance of materials designed to be subjected to strong shearing loads (e.g. fabrics) or liable to be damaged by sharp or heavy objects (e.g. paper bags). Subsequently, the test was naturally adopted for all materials in the form of sheet or films, cardboards, cloth, knitted fabrics, plastic films, aluminium foil, non-woven fabrics, complex flexible packaging etc. 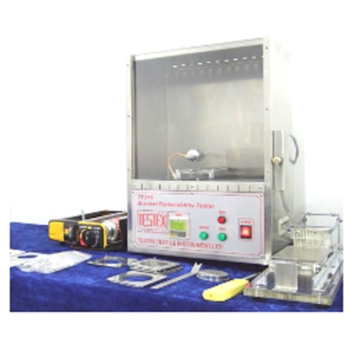 TF316 - TESTEX Testing Equipment Systems Ltd. 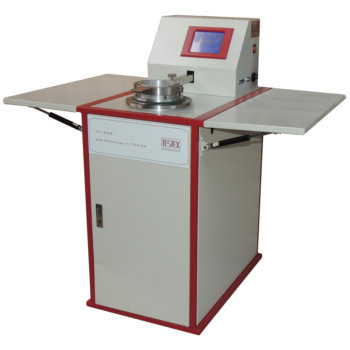 Blanket Flammability Tester, to determine the ignition resistance property of blanket fabrics and surface flame spread performance of fabric. A standardized flame is applied to the surface of specimen for a special time under controlled conditions, and burning, changing, or discoloration of a paper monitor is noted to classify flammability of tested fabric.